Looking for a variety of events for paintball? Splatball has 7 scenarios with the appropriate terrain and built-in features to give the game’s environment a sense of realism. You’ll fight until the last man or woman is standing. The only thing left to do is celebrate your victory. Save our actively playing field for any bachelor party, bachelorette celebration or business occasion. Birthday parties are another kind of event you’re sure to wish to period on our enjoying fields. Preparing is not important. Your friends and relatives don’t need to very own paintball items. To not get worried, we have now leasing gear designed for a nominal cost. For only $15, lease a semi-automatic paintball marker (paintball firearm),hopper and mask, barrel deal with, triple pod carrying pack for the compressed air container, the compressed atmosphere container and well as totally free air refills. Get a more advanced paintball firearm for $10 much more. Get extra equipment if you decide it?s needed or wanted. We provide vests, gloves, paintball and overalls grenades to help make your occasion even more thrilling. Your personal team may be as little as 8 folks or the size of 150 folks. Groups sponsoring occasions for paintball, like a birthday, bachelor or bachelorette events, youth organizations etc. can be entitled to free rental improvements. Have fun throughout the day at our Minneapolis place. The hanging out doesn’t need to quit simply because of rainfall. It is a rainfall or sparkle celebration simply because Splatball is situated inside your home. Younger years organizations will love an throughout the day activities which involve fun, strategic and teamwork moving. 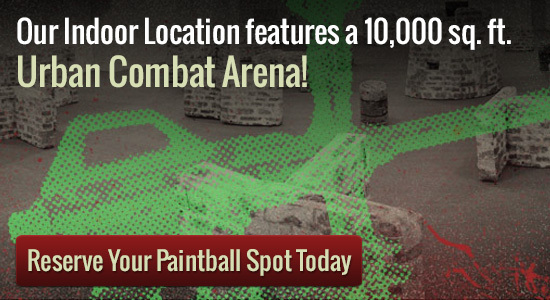 There’s a $20 entrance cost for each particular person and a fee of $5 for 100 paintballs. If they have their own equipment, one entrant can conceivably play for as little as $25. Get period moves for as little as $75 for each person. And stroll-on for 8 or significantly less people is encouraged from November 1, 2013 through November 1, 2014 without a booking.